November 13, 2018. OTTAWA. 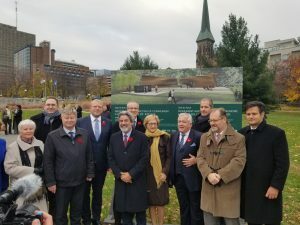 On November 8, the sod-turning ceremony at the site of the Memorial to the Victims of Communism – Canada, a Land of Refuge, took place in Ottawa. 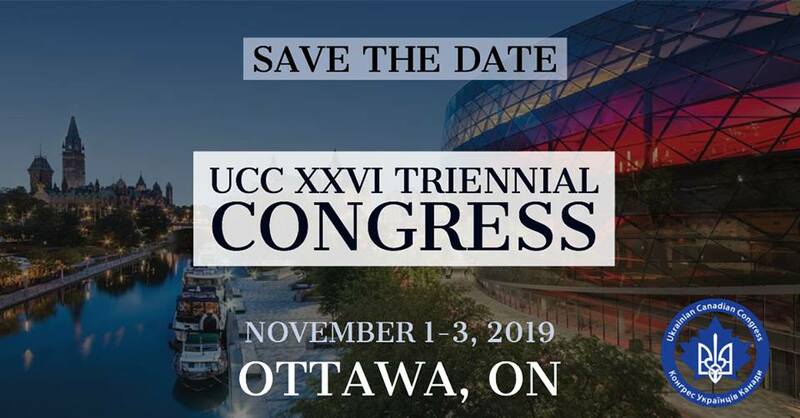 The Ukrainian Canadian Congress (UCC) was represented at the ceremony by UCC CEO Ihor Michalchyshyn and UCC Senior Policy Advisor Orest Zakydalsky. 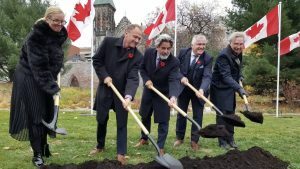 The sod-turning ceremony was attended by the Honourable Pablo Rodriguez, Minister of Canadian Heritage and Multiculturalism. The site of the Memorial is on the west side of the Garden of Provinces and Territories in the Parliamentary Precinct in our nation’s capital. The Memorial is scheduled to be inaugurated in fall, 2019.